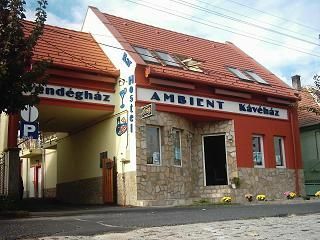 At the Balaton Lake, in down town Keszthely and near to Castle Festetics you can find our Hostel & Apartments. 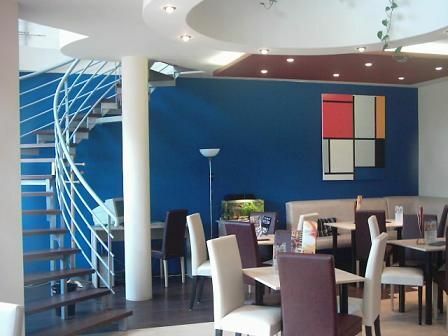 It is an ideal accommodation and meeting place for people, who are looking for relaxation and an informal atmosphere. In our offer you can find dormitories and comfortable apartments.In our hostel part we have 2 and 3 bed private-rooms and 5-6-10 bed mixed dormitories (partly with bunk-beds). In the small lounge and in the common room you can watch TV, or spend time with other Guests. We have no kitchen to dormitories. There are only a microwave, kettle, fridge and dishes for free use. (We only have kitchen in the apartments. )We also have several apartments. Studio Apartment (for 2 pers.) -2 Room apartments (for 4 pers.) All our apartments have a kitchenette with electric hotplates, microwave, refrigerator, etc. In the room Satellite TV, and the bathroom with shower.In the big garden (1500 m), there is a parking area and with a possibility to grill, play games etc. 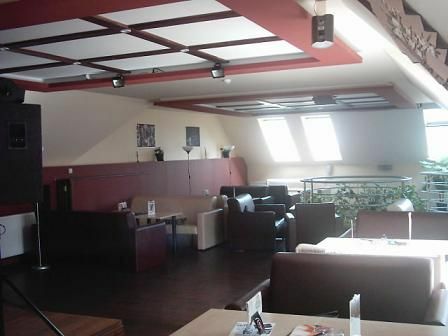 Our Cafe: The upstairs part of the Cafe is in lounge style. There are comfortable armchairs and sofas, books, magazines, cards, games and Internet. A 2x3 m big wall-projector makes your stays pleasant. (Open from May untill Sept)NOTE: Our reception is open only from 7:00 AM to 7:00 PM. Thank you for your understanding.MPORTANT!!! As our reception is closed during the winter time, (September-May) we kindly request all our guests to contact us in order to inform us about the exact time of their arrival, so that we can receive them. ( e-mail: keszthely.szallas@gmail.com, tel./sms: +3630/460 35 36) Otherwise it might be that you will only find closed doors. You can find our hostel right next to the Castle Festetics, which is the most famous place in Keszthely. It is a twenty minutes walk from the Railway station to our hostel, but there are several buses which can be taken. The bus stop is right behind our hostel. Attention: Our reception is open from 7:00 AM untill 7:00 PM !! !Thank you for your understanding.